Wilderhope Manor is a fine, Grade I listed late-Eizabethan manor house occupying an isolated rural site on the south-eastern flank of Wenlock Edge in Shropshire, in the ownership of the National Trust but run since the mid-1930s as a youth hostel by the Youth Hostel Association (YHA) . A study of the house was commissioned by the Trust, coincident with a programme of roof repairs, to research the origins and development of the house and to record and assess the physical fabric of the structure. The house was completed in the 1590s, built on a modified ‘H’-plan comprising a single-pile hall flanked by transverse wings. 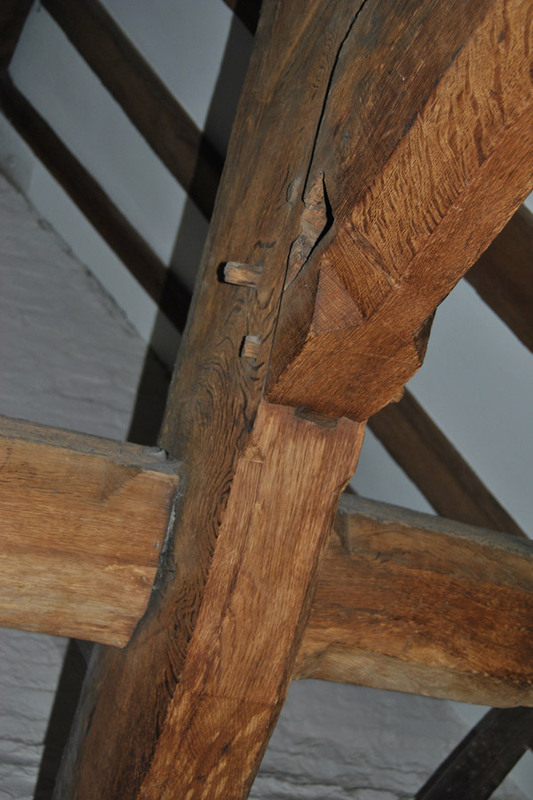 Internally, a traditional late-medieval plan form survives with cross-passage, clearly defined ‘upper’ and ‘lower’ ends to the hall and service and parlour accommodation within the opposed, transverse wings. The hall is ceiled over, however, with a great chamber over, defining it as a ‘transitional’ house, one of a group of broadly similar houses within the immediate area. The house remains much ‘as-built’ with only minor modifications of the 17th century and, though refurbished in the 20th and 21st centuries, has suffered no major interventions within the primary fabric. Reduced to the status of a farmhouse during the 19th century, the house fell into a state of neglect before being purchased and restored by William A. Cadbury Charitable Trust and donated to the National Trust on condition that it was used in perpetuity as a youth hostel, a function it continues to fulfil to the present day. 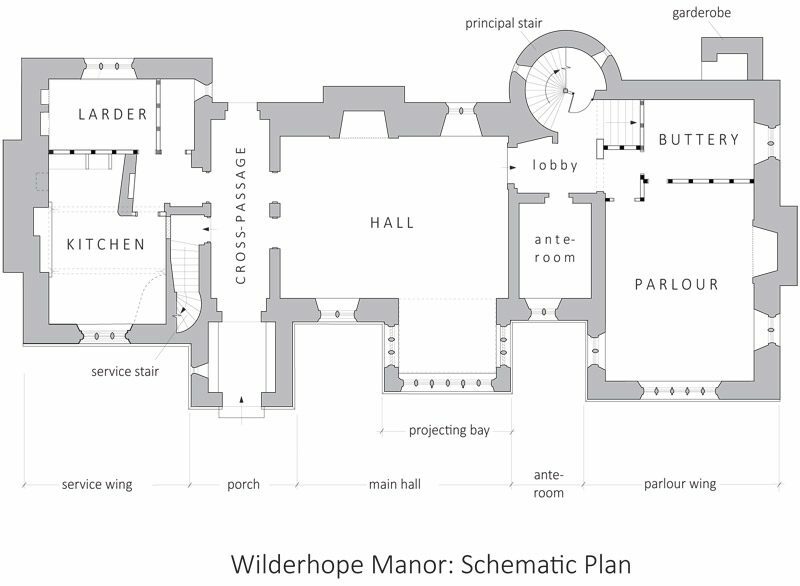 Wilderhope is a building of major intrinsic significance, admirably illustrating the move away from an essentially medieval, ‘feudal’ way of life characterised by the ‘open hall’ tradition, towards a model of increasing separation and privacy typical of the early modern period. 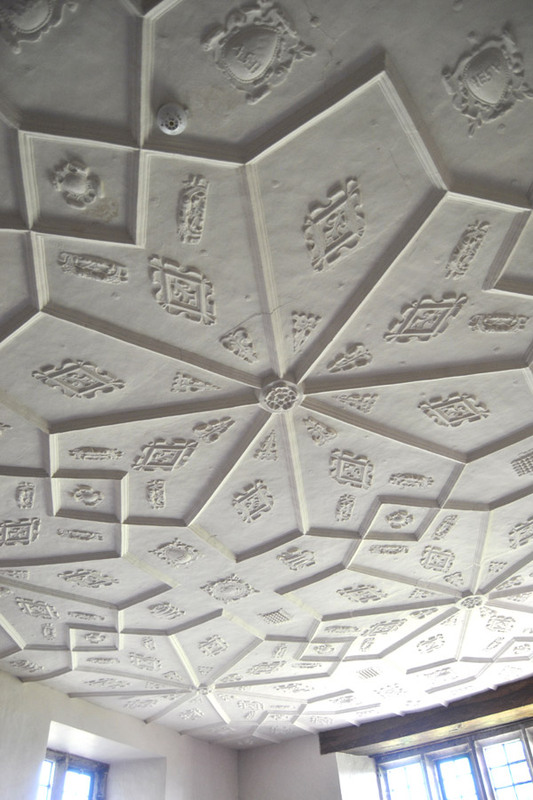 Fine interior plaster ceilings within the hall, parlour and several first floor rooms at Wilderhope combine geometric ribs with repeated motifs inculding Tudor rose, portcullis, Prince of Wales feathers, Fleur-de-Lys, a sacred heart inscribed ‘JESU’ and a blank cartouche circumscribed with the motto DROIT DEU MAL MEU (approximating to ‘lawful right is ill moved’). 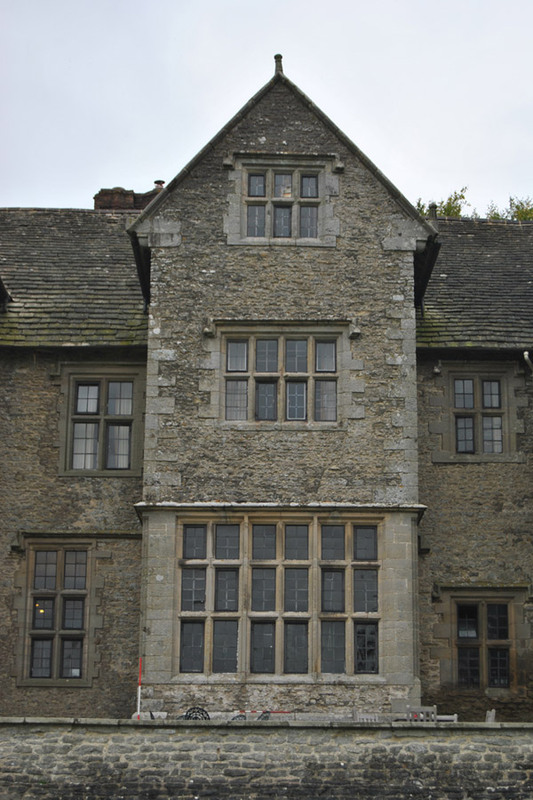 The plasterwork is identical to work at the Abbott’s lodging at Buildwas Abbey and clearly by the same hand. 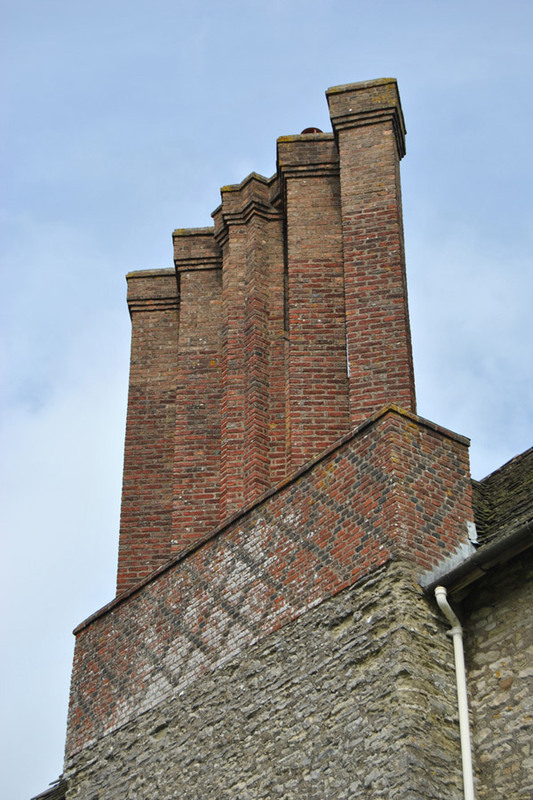 The same moulds were also used at Belswarine Hall, Morville Hall and the gatehouse at Upton Cressett Hall and is indicative of a group of specialist craftsmen working in the local area.